The Pittsboro Farmer’s Market is open year round with select items. 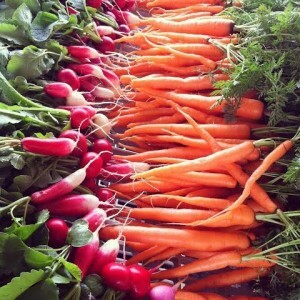 Open Thursdays from 3PM-6PM, the Farmer’s Market is located at 287 East Street. Directions are available at the bottom of this page. We have a brand new Loyalty Program! Sept 13– Chili Cook Off- Vendors and community members can sign up to compete in a chili cook off. Tickets and be purchased for $1 a piece. Each ticket get you generous sized samples of different chili. Peoples choice will receive 25% of all the money raised. All money raise will help the Pittsboro Farmers‘ Market continue to off fun and free events throughout the year. Oct 18– Soup and Bowl – The Vendors at the Pittsboro Farmers Market will serve their favorite soups in locally made pottery stemless wine cups. $30 gets you a locally made pottery wine glass and endless soup. All money raise will help the Pittsboro Farmers‘ Market continue to off fun and free events throughout the year. Dec- Craft Extravaganza- Pittsboro Farmers Market is looking for crafters and artist that would like to vend the entire month of December. It is the market’s efforts to keep holiday shopping local. Granite Springs Farm is located 6 miles north of Pittsboro, NC off Highway 87 in Chatham County. We’re a Market Garden and CSA, growing vegetables and mushrooms without the use of synthetic pesticides, herbicides or fertilizers. We also supply produce to several local restaurants. We hold open farm days throughout the year. 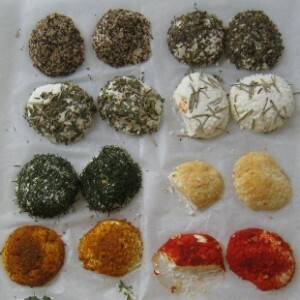 Look for details on our website www.granitespringsfarm.com and “like us” on Facebook for the latest news and photos from the farm. We look forward to meeting you at the Pittsboro Farmers Market. Fresh North Carolina caught fish. 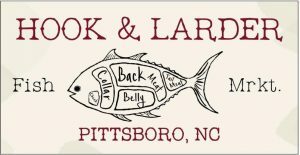 Hook & Larder is a Seafood purveyor in local farmers markets. We specialize in fish and shellfish that are sustainably caught & raised in North Carolina. Lilly Den Farm works hard to provide a wide variety of natural and locally raised meats for individuals and families to enjoy with the peace of mind knowing the meat was raised healthy and humanely. We are a young family of six who live in Goldston, NC. Tucker, a farmer from Schoharie, NY, was born on a small dairy farm. There he learned the work ethic and constant hard labor it takes to be a successful farmer. Milking a herd of 30 Guernseys, he became passionate about the show aspect of breeding and raising dairy cattle. As Tucker became an adult he began to raise his own beef because he was tired of the poor quality of meats available. Due to the demands of desirable meats from friends and family, he decided to get his meat handlers licenses, expand on his variety, and sell his products locally. Tucker enjoys breeding, raising and selling his products. However, he is still passionate about his herd of dairy show calves, heifers, and cows. He takes them to cattle exhibitions across the country with our 10 year old son, Dennet, our 9 year old daughter, Lilly, our 2 year old, Meadow and our newest family addition, Rye. I, Mackenzie, was fourth grade teacher from Staten Island, NY who fell in love with a country boy and the farming way of life. I have been farming full time for almost 2 years now and am fortunate enough to home school Dennet and Lilly. I feel very fortunate to have our farm and I am excited to watch it grow. It is my dream to share this wonderful experience with others. We stand behind our product completely. We are committed to providing high quality meats at a reasonable price. 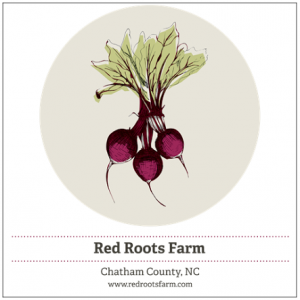 Red Roots Farm is a sustainable farming project in Pittsboro, NC. We grow seasonal vegetables, herbs, and mushrooms on two acres of Chatham County red earth. Everything we grow is raised from seed to harvest without the use of synthetic pesticides, herbicides, or fertilizers. Through carefully-planned crop rotations, cover cropping, and habitat for beneficial insects, our farm plan focuses on maintaining soil fertility and using environmental resources in a sustainable way. 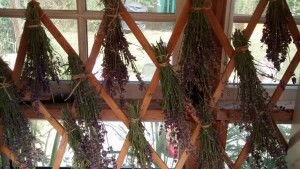 We are a family-owned micro-farm specializing in culinary & medicinal herbs, offering a retail line of apothecary formulary and handcrafted organic body care products. We are also a working homestead growing heirloom vegetables and fruits, utilizing sustainable, permaculture-based principles of responsible & ethical land stewardship. The Solstice Farm Facebook Page.